I'm delighted to be a part of the Escape for the Summer Book Tour and today I'm bringing you an excerpt from this fabulous read! Betrayed and broken-hearted, Andi's redundancy is one shock too many. Suddenly single and in debt, a summer working in the pretty Cornish town of Rock seems the perfect solution.Determined never to trust again, will a chance meeting with a stranger change her mind? Angel was having a lovely afternoon in Padstow. The pretty seaside town was teeming with summer visitors, all intent on making the most of the glorious sunshine while it lasted. Girls in skimpy vests and tiny shorts held hands with their sunburned boyfriends and drifted through the streets while yummy mummies pushed Bugaboo strollers to Rick Stein’s café for afternoon tea. High above the higgledy-piggledy rooftops seagulls wheeled and shrieked in a cloudless blue sky before dive-bombing unsuspecting tourists for their ice creams and pasty crusts. Angel treated herself to an ice cream, which she ate slowly while dangling her legs over the quayside. Across the shimmering sand and the water ribbon of the Camel Estuary, Rock was only a smudge on the horizon, but the place still made her stomach knot with excitement like the tangled fishing gear piled up alongside the trawlers. The sense of all the possibilities just there for the taking was overwhelming. Whatever was she doing just sitting around eating ice cream? There was so much to do. Lobbing what was left of her cornet to the squabbling gulls, Angel continued to explore Padstow. It must have been at least ten years since she had last visited. Her mother had adored the town, much preferring Padstow to its more upmarket sister across the water, and had regularly taken both girls across by boat. Andi and Angel had loved exploring the gift shops, but most of all they’d been fascinated by the lobsters on sale at the wet fish shop. Seconds later her tweet was safely logged in cyberspace and Angel’s work was done. It wasn’t strictly a fib. She was in Padstow, she was looking forward to her dinner and she was only a pebble’s throw away from the world-famous restaurant. If everyone wanted to read her tweet a certain way then that was hardly Angel’s fault. That was semantics! Ruth Saberton always knew she wanted to be a writer. From an early age she was busy filling note books with stories and rather than hero worshipping Wham and Duran Duran (which ages her!) Ruth's heroes were Jilly Cooper and Jackie Collins. Several attempts at bodice rippers later, Ruth turned her attention to romance and now focuses on writing romantic comedies. Her debut novel, 'Katy Carter Wants a Hero' was championed by Richard and Judy and nominated for the RNA's Romantic Comedy of the Year Award as well as being described by Heat Magazine as, 'the heir apparent to Bridget Jones'. Ruth writes under her own name, but also has several pen names which include Jessica Fox, Georgie Carter, Holly Cavendish and Lucy Hepburn. Her boyfriend says he has many women all rolled into one! Ruth is published by Orion, Pan Macmillan, Harper Collins and Notting Hill Press. Although she loves the UK, Ruth now lives in the Caribbean where she continues to write romances, teen novels and planning that bodice ripper! 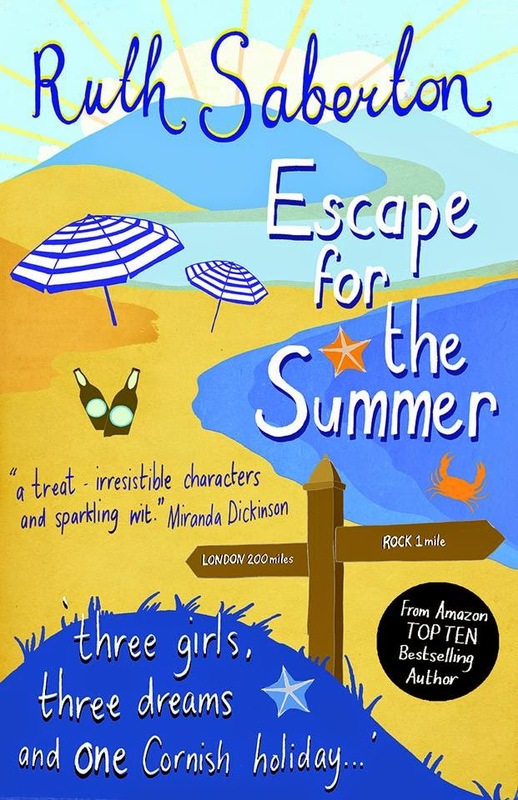 Her latest book, Escape for the Summer, is set in Cornwall but she is currently writing one set on Grand Cayman.